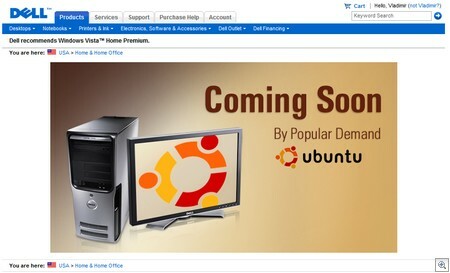 So the cat is out of the bag – Dell officially supporting desktop Linux. Linux desktop has been a tough sell on the desktop particularly due to the lack of IT solution providers capable of supporting it for the SMBs. However, with the Dell push things will certainly change. Have your customers considered Ubuntu? Do you know that you can install Ubuntu and sync it up to Exchange in less than an hour? As I mentioned on Vladcast #2 two weeks ago, the time to wreck your test box with Linux desktop is now. I’m curious to see how this is taken by the SBS community that has been traditionally afraid of open source solutions. Will you try it out? Ignore it? Wait for it to show up at the customer site like Mac’s? Support it already? You know where to find me..